From jumpers to stylish coats, accessories and shoes. This Winter season we have seen nearly everything in orange. Am I right? And I must say that this color is going to continue to be popular in the Spring too. I love orange and I have million of pieces in this color. This strong color is eye catching and if you use your creativity, you can make some stunning combinations. If you want to follow the fashion trends, then you should definitely check out the gallery below. Inspire yourself and make your own combinations. 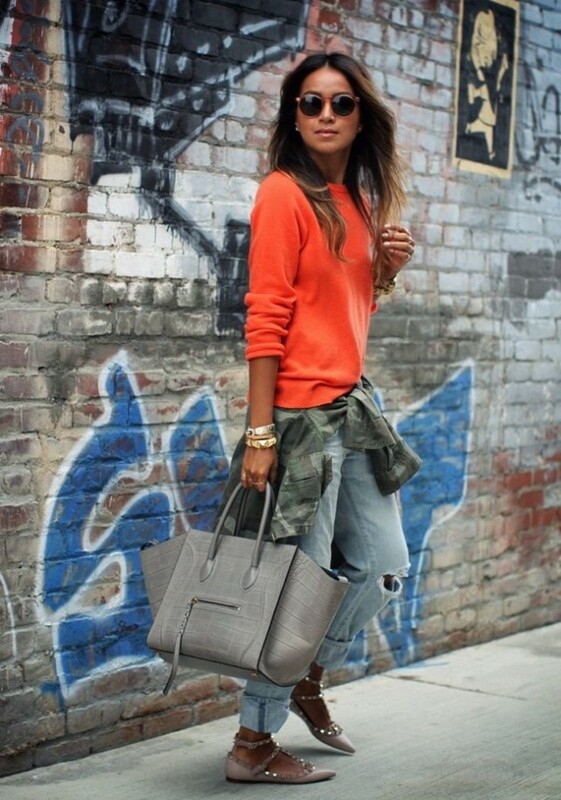 Learn how to make a statement with an orange piece of clothes! Enjoy! Black dress and orange coat – perfect! Thank you for reading. I hope that you have found these outfits beautiful. If you don’t know what to wear, feel free to copy the outfit that you like the most. And if you have some other combinations that you want to show me, please leave me a comment below – I would love to see them! Enjoy in the rest of your day and stay up to date with the contents of Fahionsy!